These are potentially a Japan-exclusive release. 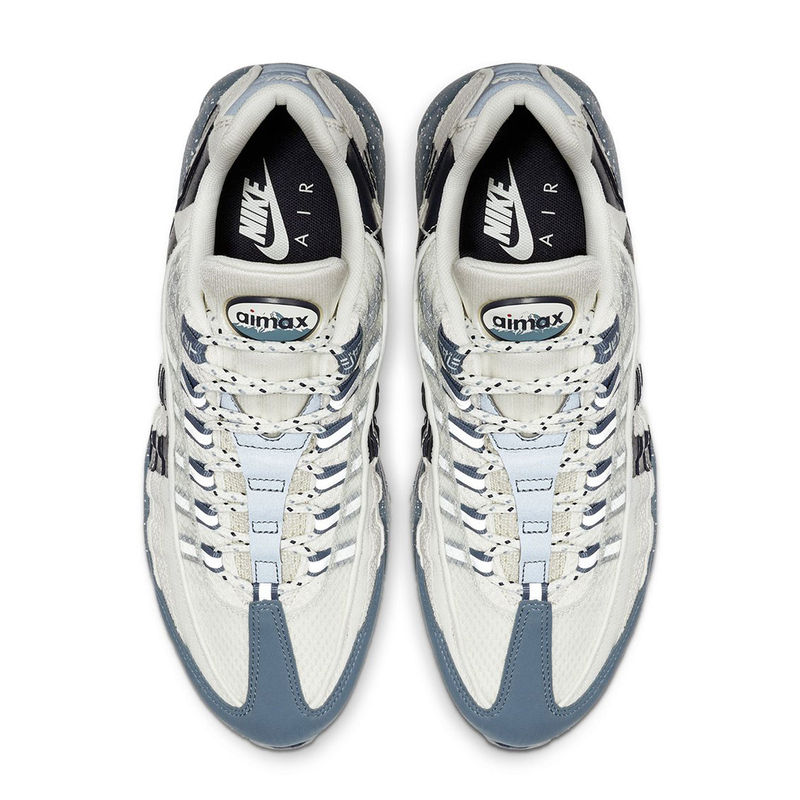 There have been some leaked images recently of a new Mt Fuji Nike Air Max 95 and now it appears as though we have some more concrete images of what the shoe is going to look like. So far in 2019, Nike has put a large emphasis on the "Have A Nike Day" slogan and with this latest sneaker, they are going back to the infamous "Just Do It" phrase. 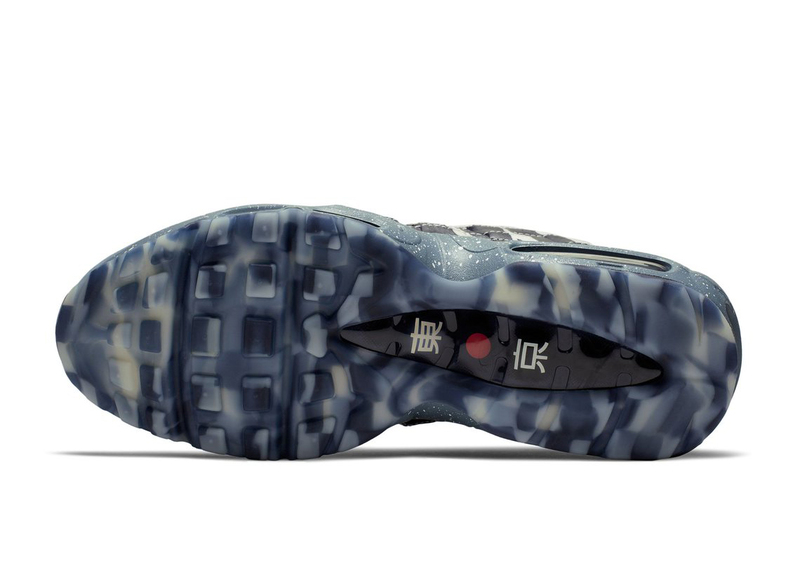 On the outside of the shoe is written "Just" in big block letter while the inside says "Do It." It's just another example of Nike putting infamous slogans on the shoe but also putting writing on their sneakers which of course became popular thanks to Virgil Abloh and his "The Ten" collection. The main colorway of the sneaker is a creamy white on top, as well as a watery blue on the midsole, that is also highlighted throughout the upper. On the tongue, there is "AIMAX" branding as well as a depiction of Mt Fuji. 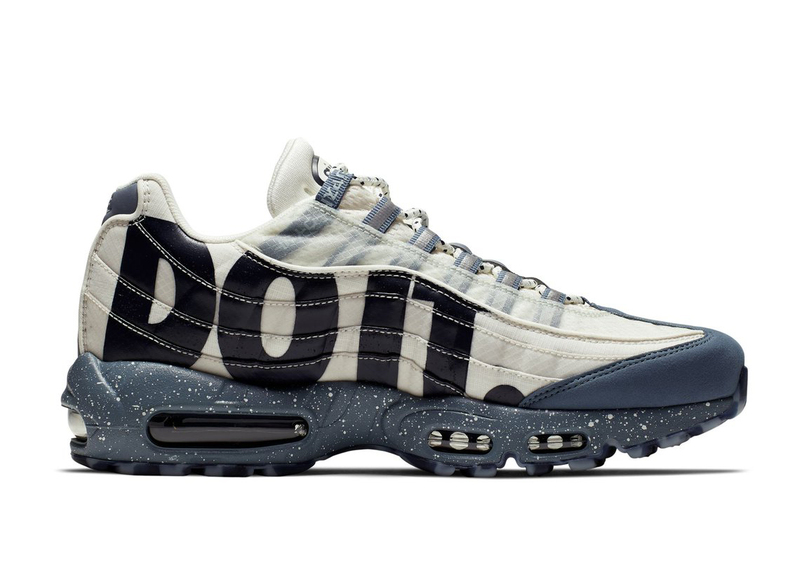 These sneakers are also dubbed the Air Max 95 "Mt Fuji" so the artwork speaks for itself. So far, all that is known about these is that they will release this year and are most likely a Japan-exclusive release. We will be sure to provide any updates on these shoes as soon as they come.